Instantly recognisable the Fisher 25 has become something of a design icon in the world of motor sailors. With the very traditional working boat like profile. Low sweeping sheer line and reverse rake windscreen. The Fisher 25 has all the design details for which the range of British built ketch rigged motor sailors have become famous. 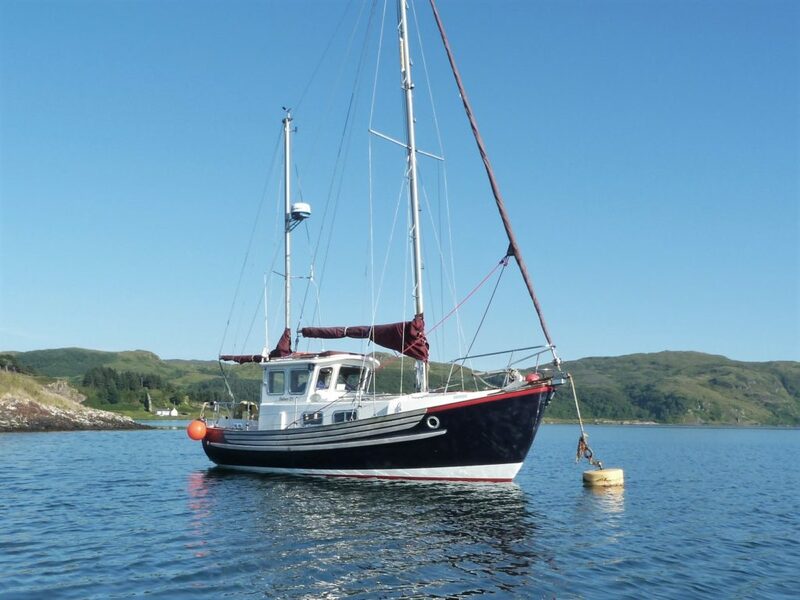 Offering an open cockpit aft with tiller steering and a fully enclosed wheelhouse helm position for when weather is less favourable she is ideally suited for cruising in Scottish waters. The accommodation space on the little Fisher is cleverly used to maximise the available internal volume and creates a living space which is practical for use with a full crew aboard.